Laminate Top Size of 30" x 30"
Weight Capacity of 180 lbs. 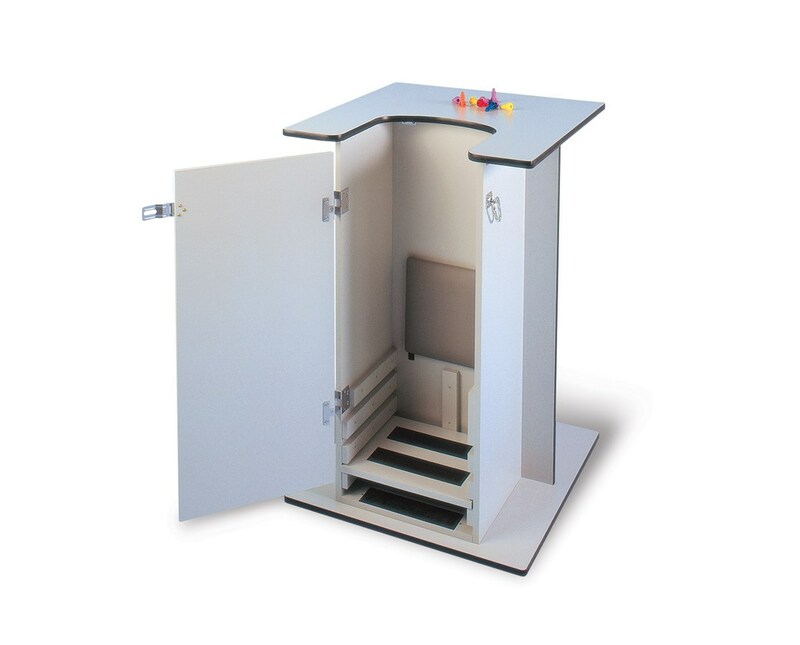 The Hausmann Industries Economy Stand-In Table is a cost-effective medical device designed for doctors, physical therapists or caregivers to easily lift patients on shifting from a sitting to a standing position. It also promotes vertical bearing exercises and/or activities to slowly improve balance and strength. Awesome Design. Constructed with high-quality materials, the Economy Stand-In Table features a Folkstone Gray Laminate with a 30" x 30" laminate top and a 15" W x 12" D patient cutout for the hassle-free access. It has a weight capacity of 180 lbs. and an inside space of 16" W x 14" D in the table. The standing platform's height can be adjusted in 10" vertical range and features anti-slip treads. 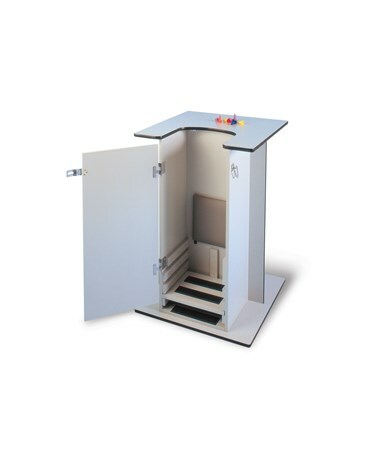 The table also has a height-adjustable, padded knee rest and a door with heavy-duty hinges & positive latch to secure patient safety when it is in use. The Hausmann Industries Economy Stand-In Table has an overall size of 30" L x 30" D x 45" H and a 3-Year Warranty. Top Size of 30" x 30"